Young Rebel Star Prabhas’s upcoming movie is ‘Baahubali’. Every time some news about this movie gets released, it creates a sensation in the Telugu audiences. The latest buzz is that some dialogues that are used in the movie have been leaked. 1. Kondalu pindi chese samayam raani, kaarya soorudu adharadu, bedharadu. 2. Nee andu aayudham, ade nee aathmavishwaasam. Anushka is playing feamle lead role in "baahubali" movie. 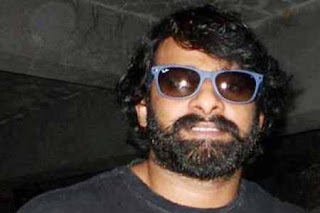 Rana Daggubati is playing as brother of Prabhas. This Movie is directed by SS Rajamouli. M.M Keeravani scored music for this movie.